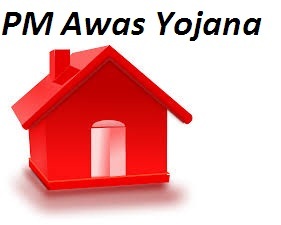 The Pradhan Mantri Awas Yojana has been launched by the government of India under the leadership of Prime Minster Narendra Modi. This scheme was launched by the Modi government after seeing a report that revealed that there are still around 5 million families in the country who are without a house. So to provide such families with a house the Pradhan Mantri Awas Yojana was launched. The main objective of the scheme is to provide the homeless families of the country with a pucca house so that the socio-economic development of the country can take place. Under this scheme the government of India will construct affordable houses across the country, mainly in the urban areas so that the urban poor can get a proper house to live in. The eligible citizens of the country will be able to apply for houses under this scheme both online and offline. All the construction of the houses will be done by the year 2022, which is the 75th year of Independence of India. In order to complete the mission, central government of India plans to establish this scheme under three phase in different time period. Now if you have applied for the scheme by submitting the form in a bank or CSC then you should keeping checking your application form’s status. Here is how you can do the status check. By following this method you will be able to check the status by using your application number that is available in the receipt that you got after submitting the application form. Visit the following link- http://pmaymis.gov.in/Track_Application_Status.aspx ad check the option ‘by application number’. Then you will have to enter your application number in the space given. Once you have entered your application number click on ‘show’. After this your application status will be shown on the screen. Visit the following link- http://pmaymis.gov.in/Track_Application_Status.aspx and select the option that reads ‘By name, father’s name & ID type’. Then in the page that appears select your state, district and city and enter your name and your father’s name. Then you need to select the ID type (Aadhaar, Voter ID, etc.). You have to select the same ID type that you selected during submission of the application form. Then enter your ID number. Then click on ‘show’ button. Once you do so your application status will appear on the screen. One may also print the application form that they have submitted for any further reference or record. This can be done by visiting http://pmaymis.gov.in/Open/Print_Application_By_applicationNo.aspx. But then you have to remember to enable the ‘pop ups’ in your browser before you get on to the printing for your form. Once you visit the above mentioned link select your preferred option- ‘by application number’ or ‘by name, father’s name and ID Type’. You will then need to fill in the details depending on the option that you have chosen. Then you need to click on the ‘print’ option to start the printing process. For this scheme all the people who do not have a pucca house and belong to the BPL or Economically Weaker Section of the society will be eligible for the scheme. Under this scheme women and families of the SC and ST category will be given preference. The family belonging to the economically weak section should have a yearly income of not more than 3 lakhs and the families belonging to the Lower Income group should not have a yearly income of more than 6 lakhs. The scheme also allows Credit Linked Subsidy which means that applicants of the scheme can also apply for a home loan under this scheme for which they will be charged interest at a subsidized rate. For a loan of up to Rs.6 lakhs taken for tenure of 15 years, will be given an interest subsidy of 6.5%. But for an amount or time duration more than this the interest subsidy will not be applicable. The loan can also be taken for constructing an own house or for repairing an existing house. In such a case the construction has to be take place within 18 months. Also the house should be constructed by following the guidelines mentioned by the government under this scheme. In case you find yourself eligible under this scheme then you can apply for the scheme by visiting the nearest public bank. You just need to fill in the application form that is available in all the public sector banks and fill in the details that have been asked in the form. Once you are done filling the form, attach the necessary documents and submit the form to the bank itself. After verification your application will be processed. This scheme also allows online application. For this process 60000 CSC or Common Service Centers have been enabled. The interested and eligible applicant should visit his or her closest CSC and fill in the online form and submit it. You will be charged Rs.25 per application. For availing this procedure the applicant must have an Aadhaar Card, in case you do not have on then the CSC will help you in registering for Aadhaar Card as well. Once you have submitted your Awa Yojana application form you will be given a receipt that will contain your photograph and identification number that would be required for further references.